Hi. I have been a high school math teacher for since 1993. I have a daughter who is married and has two children. 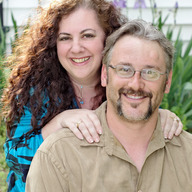 I have been happily married to my wonderful husband Thom for about 5 years. I have two step daughters in their teens that live with us.